After being married for a few years, the newness and excitement of being married can begin to fade. You still love your husband, but you are now used to having him around all the time and seeing him every day. You get sucked into your weekly routines and eventually you begin to take him for granted without even realizing it. I didn’t realize it was starting to happen in our marriage until my husband went out of town for almost a week. He flew out to Arkansas to help a friend move back to our area in Utah. I have a new and deeper respect for women whose husbands travel for their jobs or leave their homes to serve our country. Their husbands are gone for months, but it was hard for me to have my husband gone for 5 days! We have been married for almost three years and we have only been apart twice from Friday afternoon to Sunday afternoon. This trip, however, was longer and he was also several states away! I of course cried at the airport when I dropped him off, and I cried when I got home. But even though I missed him so much, I do think being apart was good for our marriage. 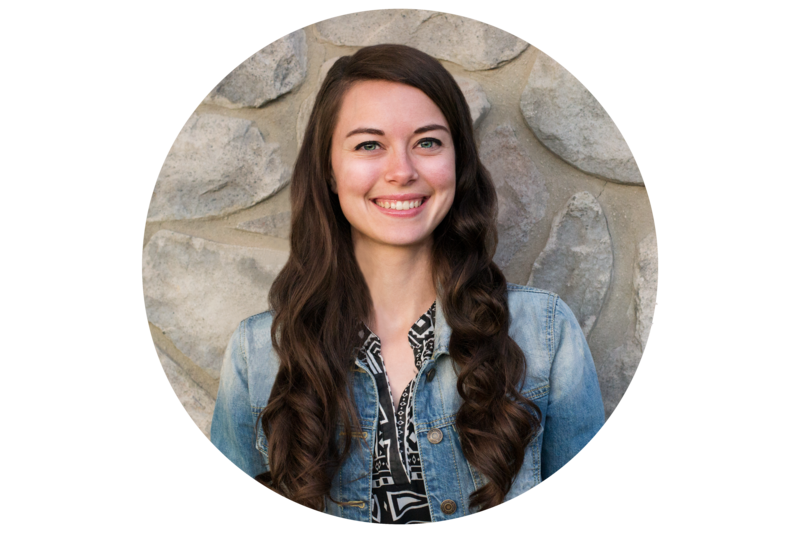 Being apart from my husband helped me realize some things about our relationship. I had begun to take my husband for granted. In the repetitions of everyday life, I had begun to not appreciate him as often. In the back of my mind I figured he would always be around. That he would always be there to help me with our children, to provide for us, and to make new memories with us. As much as I hope and pray that we will both be alive and well for the rest of our lives together, we never know what the future holds. I want to live each day appreciating my spouse and loving him like it was our last day together. Because you never know… it really could be. With him gone, I noticed all the things he does for us. Look after our son. Help around the house. Make me feel special and loved. It just made me love him more and want to tell him thank you. We need to give each other our wholehearted attention when we’re communicating. Here’s what I mean. While he was gone, we talked on the phone several times. One night we even talked for an hour and forty minutes! During all those conversations, we were paying close attention to each other. We valued the time we got to spend on the phone together, just like we did when we were dating. I remember thinking after that longest phone call how nice it was that we had hardly any distractions. Sure, a few things came up that had to be taken care of. But for the most part, we were both giving all of our attention to each other. At home, we are normally distracted by our son, our phones, his video games, things that need to be done, and everything else that keeps us from focusing on each other. I’m not saying we need to be obsessed with our husbands, but rather that we should devote at least a little time each day solely to our men. Really listen to what he has to say. Pay attention to his gestures. His emotions. His attitude. His passions. When your husband speaks to you, look away from your phone and look him in the eye to let him know that you’re listening and that what he has to say is important. He’s been home for almost a week now and we both can tell that we pay closer attention to each other again. Even though neither of us liked being apart, it was good for us to have time to ourselves, to miss each other, and to appreciate each other. 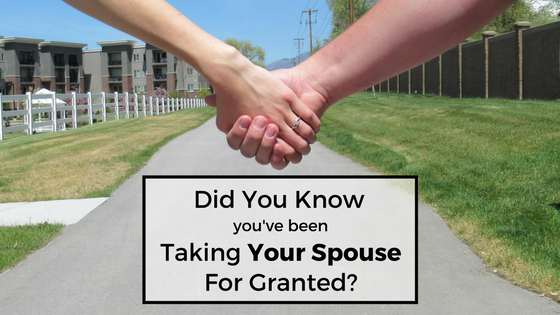 Have you been taking your husband for granted without realizing it, too? And how do you handle being apart from your spouse? Please comment below! It’s definitely easy to slip up in this area. We’ve been married almost 3 years, and it’s something we’re working on. 🙂 It’s very rewarding when we keep it up, though! I can tell our marriage is strengthened when we really work on it. I can very much relate to this, and I have to be careful of projecting expectations and demand at my partner because that does not feel nice for him! It’s so good to talk about these things and work on our most important relationships becoming more conscious & for ourselves to be more responsible in the dynamics we have attracted & created. I agree! Expectations can cause a lot of unnecessary hurt feelings in any relationship. At the same time, setting REALISTIC expectations TOGETHER is healthy for a marriage. My husband often works very long days and I don’t see him much as a result. He doesn’t travel, but he is out of the house before I wake up and in bed a couple hours after getting home. Therefore, we make the most out of the weekends when he is home! I think having regular (or semi regular) date nights is really important! We are in a similar boat. It’s important to make the most of the time you do have together! And date nights are a must! Thanks for this post. It was such a great reminder of how important it is to value our conversations. We have been married 14.8 years now and this post reminded me of when we were dating and would talk on the phone all night. These days it’s so easy to take our conversations for granted. I have also found that listening to each other’s body language can be equally important. Just sensing when my husband is down or upset can be a good way to open up conversation. Congratulations on making it that far in your marriage! It’s sadly becoming a norm to get a divorce. But that’s a great point about listening to your spouse’s body language! That can definitely be a way to connect and communicate on a deeper level. This is so true! I have been married for Thirteen years and I have been in this place more times then I would like to count. However, absence does make the heart grow fonder and being conscious of this action helps turn the tables. Thanks for sharing! I agree, being conscious of it definitely makes a difference. Thank you for your comment! I know that i have been. He has been gone a lot lately and it is so much harder to do life without him. I’m sorry to hear he’s been gone a lot lately. It’s definitely hard, but it makes me appreciate him more. And it also makes me admire single parents! I don’t know how they do it all.